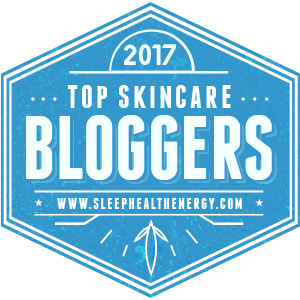 In Feburary, I finally got the most talked about chemical peel. No, it wasn’t because I’m a skincare blogger and we like to try it all, it was because I was in serious need of a savior on my face. So back in January, I had a severe case of hormonal acne. My dermatologist said it was puberty, because I am 29 turning 30. smh. I was breaking out every where on my face, and it hurt. It was the painful baby cyst looking acne and left the darkest marks. As it was leaving another 5 were coming. No product I bought worked. I happen to be in the Aristocrat MedAesthetics office in Great Neck, NY when I looked at their brochure and saw they offered chemical peels. So I went in for a consultation and In my mind I'm thinking chemical peels are like $100-200, you know what it is worth it, I’ll do it. After the consultation she said ohh the best peel to get rid of all the dark marks is the APS Pigment Peel. I knew my face was bad but damn $697 bad.. sheesshhh. But I was in a crisis mode. SO I was hurt but I paid it without even hesitating. All the other peels will have faded the dark spots a little bit and she couldn’t guarantee the result I was looking for, but with the APS Pigment peel, she was very confident. So the process started. For those who are looking for the best peel to use and the truth about this particular treatment, recovery and result, this is really going to help. 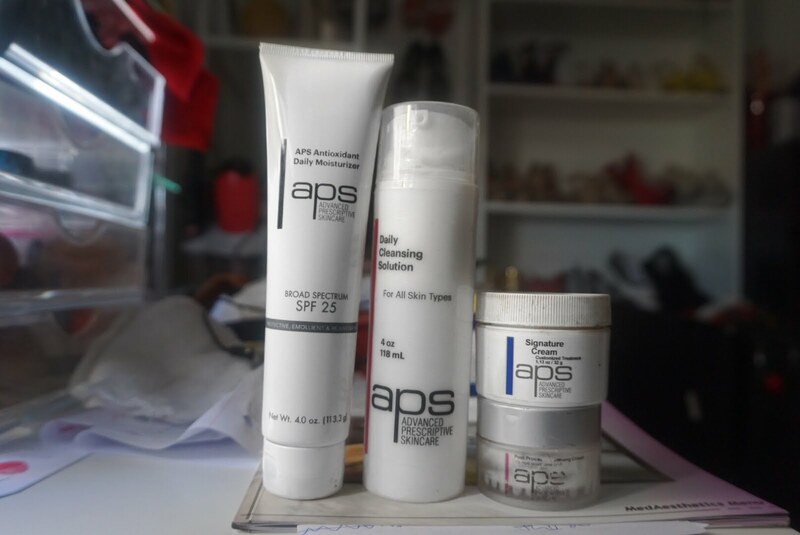 What is APS Pigment Peel? This is an in—office peel custom compounded with retinol, hydroquinone, Ascorbic Acid, Kojic Acid for result driven for patience like myself. This peel can be used to treat major skin issues such as post- inflammatory hyper pigmentation. This peel is pain free, with active exfoliation without stinging or burning the skin. This peel can be used in the summer but requires lots of sunscreen protection. With this peel they give you take-home products that are specifically formulated and customized for you, for a post treatment to enhance the in-office peel benefit. - Hydrocortisone Cream: To apply when dryness, peeling occurs. 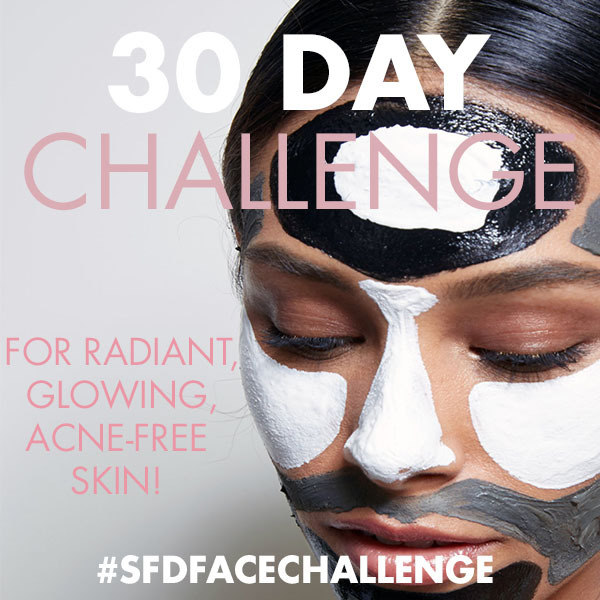 This helps to soothe the peeling and keep face hydrated. The medical staff did a mini facial where she cleansed & exfoliated my face then she applied the acid peel masque. This face mask had to be applied by an expert, because this is what really gets your skin ready for the peel. This process took about 30 minutes and then I had to have the mask on for 12 hours before rinsing off. The length of time varies depending on your skin type and the condition, so yep mine was terrible, so 12 hours. After 12 hours, I washed the mask of with the cleansing face wash provided. Then I applied the signature cream and went to bed. My face felt tender and red. I had to go to work the following day, so I apply the sunscreen on my face. This sunscreen was created without black people in mind. My whole face looked white and crazy and yes, I still went to work looking like that. The last thing I wanted was to get sunburned while my skin was peeling off and generating new layers. The glasses was too distract people from staring, but that didn't work. lol. I didn’t really notice my skin peeling by day 3 which was the expected day of peeling, so I started applying the signature cream twice a day, morning and night. Ohh I stopped using their sunscreen and started using my sunscreen that was SPF 30 but transparent when applied. and then I woke up the next day to this. This is when the peeling started. I remember my chin peeling, my forehead peeling but not my sided at first. But eventually as days went by it all started shedding. I shed so much skin! I moisturized with the hydrocortisone cream at least 3-5 times a day to hydrate my skin when it felt itchy or dry. My skin was shedding everywhere. There was so much temptation to peel the skin but I didn’t want it to become worse, so I just let the skin hang low when necessary. I noticed my marks were a little bit lighter but I still had a lot of dark spots to combat. My face was red and sore and I noticed even the acne was peeling off, but as soon as the acne fell off, a new pimple surfaced. I was so upset. So the chemical peel was working, but I had to deal with the acne, so I added to my face washing routine. I started double cleansing, using the Vichy Deep Cleansing gel face wash as a first cleanse and then the APS face wash for a second cleanse, both morning and night. The Vichy Deep Cleansing gel has Salicylic Acid in it, which fights acne deep down in the skin. I felt like my face had become 70% back to normal. The dark marks were fading and I stuck to using the products they gave me. I kept using the products for about a month and used up all the Signature cream content till the last drop. I was super happy because I got the result I was looking for. I mean my face wasn't completely spotless but from where I started one month ago, girl I felt like my skin was supper fresh Like Beyonce. 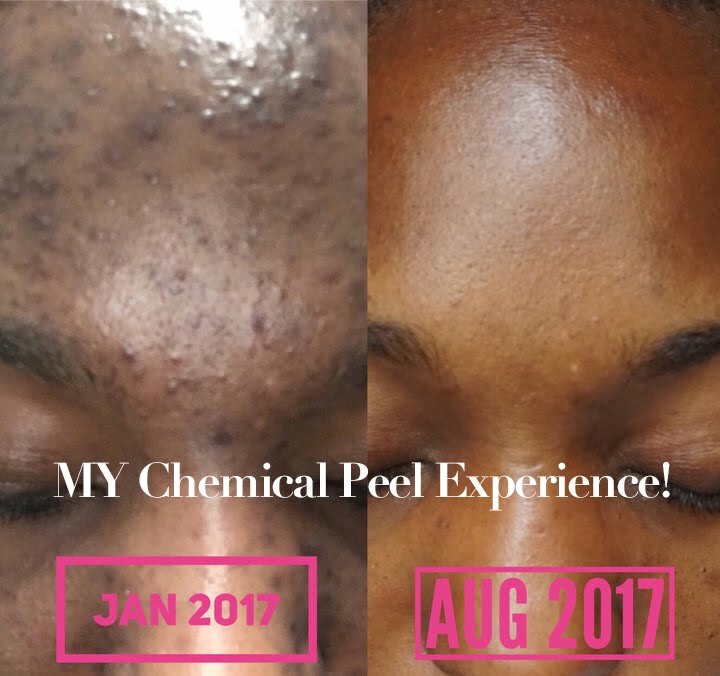 Here is the result from one month of using the APS Pigment Chemical Peel. I got great results from using the APS Pigment Chemical Peel. The treatment costed me $697 and it was money well spent. by the end of the treatment my skin looked, brighter, smoother and more even-toned. Most of the dark spots were practically gone, this was better than the result I had expected. I will recommend this treatment to anyone who has severe acne like me and needs a quick and easy fix. The treatment was a first step to treating my skin, and gave me hope to fighting the acne and hyperpigmentation. I love the fact it works fast and quickly for people like me who don’t have patience. If you are interested in learning more about the APS Pigment peel, visit Aristorats website or you can go to their offices in Great Lake and New york city. Have you gotten a chemical peel before? If yes which one and did you like the results? Lets talk in the comment box below. I saw a dermatologist who recommended I use Retin A. It peeled my skin so badly, for several days. It was tough going out with my face cracking and peeling like that. I was meant to stop using the Retin A, and follow with a chemical peel but honestly can't imagine going through that skin peeling phase again. It's just so tough going and meeting people looking like that. How did you cope? It is tough going out and meeting people. My boss was very understanding, so didn't have to go anywhere during this period. So I worked from home for a few days when the shedding was a lot. This chemical peel was really great, very strong too. Worked well. I have heard the same peeling nightmare from Retin A before. Did you get the results you were looking for though? Like faded dark spots, smaller pores, etc?